The bathroom is one of the smallest premises in a home and probably when you decide to move this is the last place you may think that you need a guide for. But you do. There are plenty of small things inside a bathroom and you can surely use some tips to make your bathroom packing and moving easier, simpler, better organized and quicker. And who wouldn’t want to do such a job fast and efficiently? If you intend on packing up your bathroom yourself and not calling movers, here’s what you need to know. Pack your bathroom daily essentials box. Separate items that you use every day like cosmetics, medicines, bathroom items, etc. Place these in a separate sturdy cardboard box and make sure you keep them with you to use the items inside when you need them. Sift through your bathroom. You don’t need to take everything. Half empty shampoo bottles, bar soaps, etc. can be thrown away. You can easily replace those when you relocate, if you decide to pack them and move them it may cost you more money actually. Throw away shabby towels or use them as rags for the packing or for the moving day. Follow our tips for a happy bathroom relocation! Go through the medicines and cosmetics section. It is very important when packing the bathroom to check those. Throw away everything that has expired, with a changed smell, color or consistency. After all, these are products that you apply on or in your body and you should be careful with them. You will probably have some forgotten bottles and jars as well which is normal. Throw away also bottles, jars, tubes, etc. that are without label or if you cannot clearly read their label. If you have medicines you no longer use because the treatment was completed or interrupted, throw them away. There is no point in keeping them not only because you don’t need them any more but also because there are medicines that have a very short expiry date once opened (a few months or even just a couple of weeks). Collect the cleaning supplies in one box. 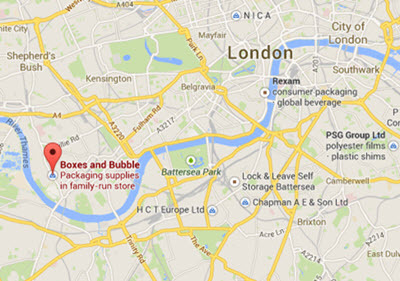 You will need it for the moving day and it will be more convenient for you if they are all located in one place. How to pack your bathroom correctly? First, make sure non of the packages leak. Liquids should be well shut in their original packing and then placed in a sealable plastic bag to ensure that if the bottle leaks, it won’t spread on your other bathroom items. If you have doubts, use tape on the cap before placing the liquid in a plastic bag. That can give you an extra sense of security and it is a good thing especially if you are packing expensive items. Pack medicines and first aid supplies separately in a box and keep it handy. If you have heat sensitive medicines pack them separately. Have you contacted movers for a free quote? Remember to use small boxes and not to pack the boxes too heavy as they may break under the weight. Line up the boxes with linen or towels on the inside and then arrange the items to be packed. Use toiletry bags for makeup and hair accessories. 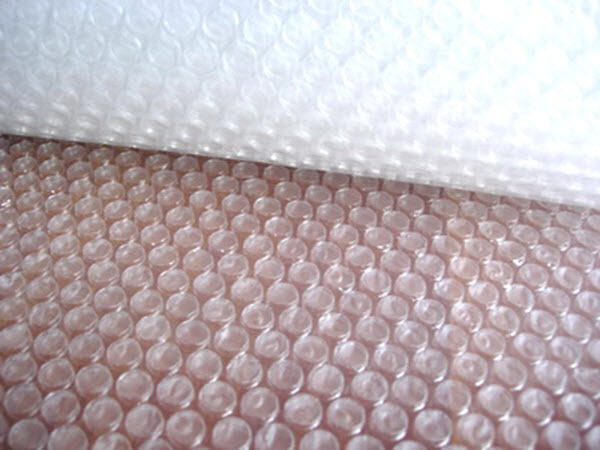 If you have fragile items for packing in your bathroom, use bubble wrap, tape it well and place the items in a sturdy cardboard box, filling the empty space with packing peanuts or crumpled packing paper. If you need more help with packing fragile things, you can use our fragiles packing guide to learn how to pack them. Soft and unbreakable items like towels, linen, the bath curtain, etc. can be packed in a sturdy plastic bag or in a cardboard box. 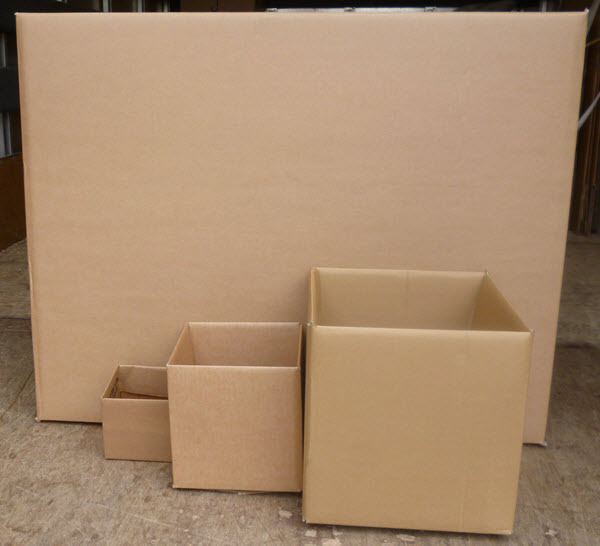 You can use part of them to be packed in the empty space on top in other boxes containing heavier items. Don’t throw away hazardous materials in the waste bin or the toilet (medicines, paint, chemicals, etc.) They are dangerous for the environment and need to be disposed of in the right way. Contact the closest Environmental Protection Agency or the local recycling centre what to do with them. If you don’t have time or don’t want to spend time and effort to do this job, you can always contact movers – they know how to pack a bathroom for moving. Don’t be shy to ask them questions, ask for advice or even get quotes from them – estimates are free anyway. It might be that the cost for packing up your bathroom by the professionals is pretty much the same as to what you would spend yourself for packing materials. Whichever option you choose, we wish you good luck with your move.